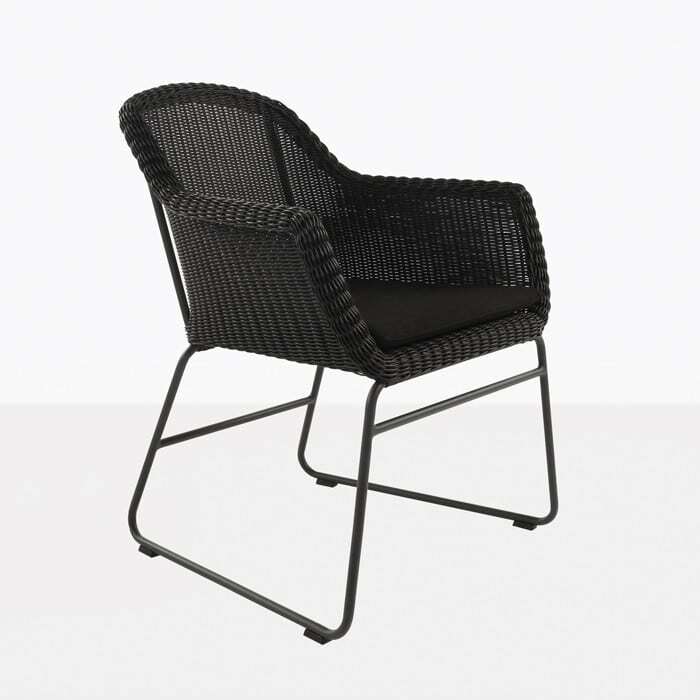 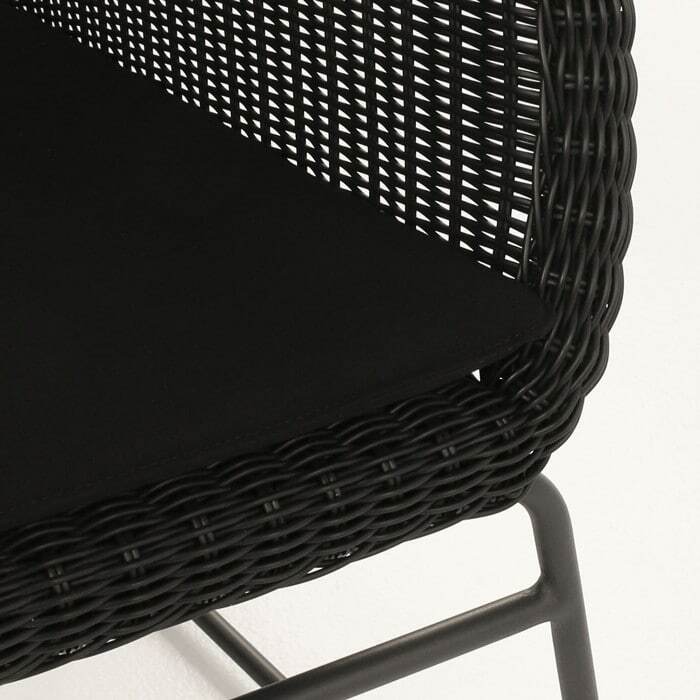 Create a beautifully styled and ultra luxurious outdoor dining set with the Harbour Wicker Dining Chair in black. 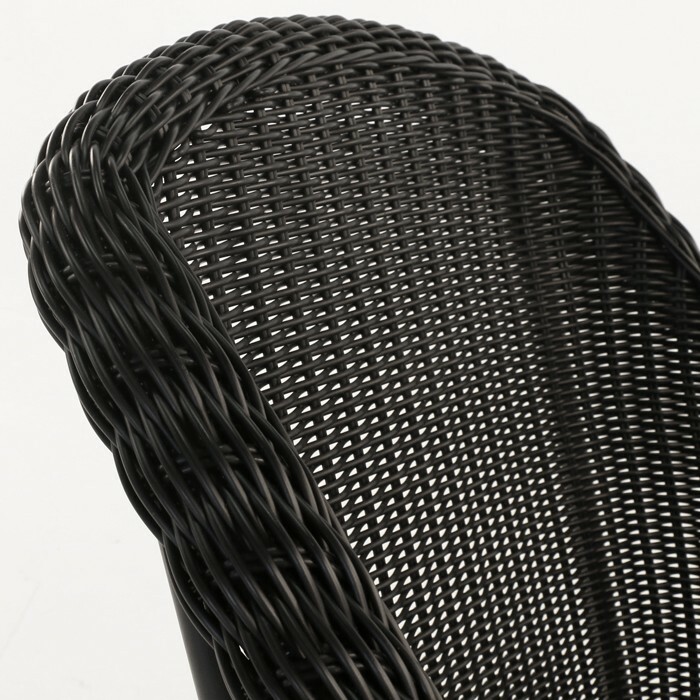 The black wicker is sleek and sharp and will add a rich look to any dining table it surrounds. 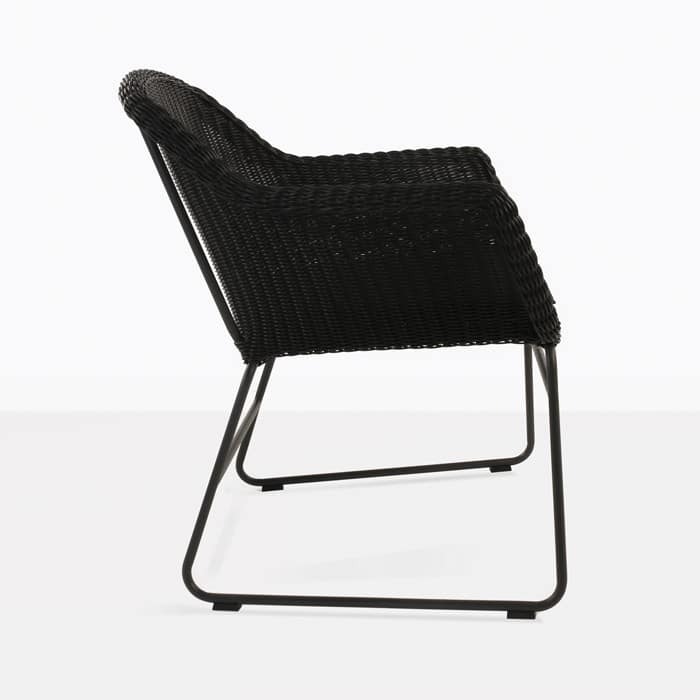 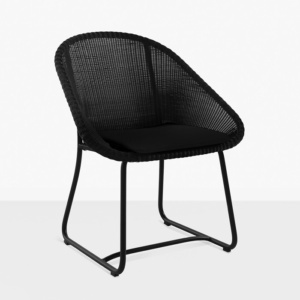 This chair has some of the design features that are famous in traditional wicker chairs, but it also has a contemporary vibe that makes it refreshing and current. 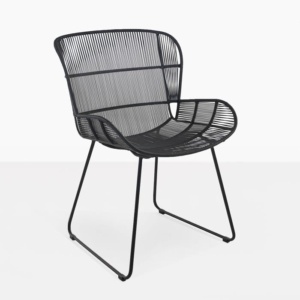 This is obvious with the powder-coated aluminum frame. 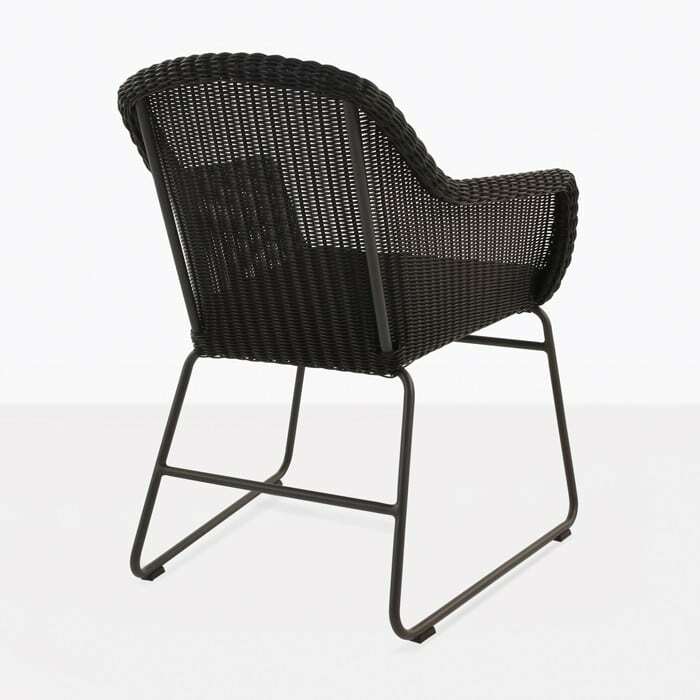 This chair is made with premium materials to ensure it lasts for many many meals to come. 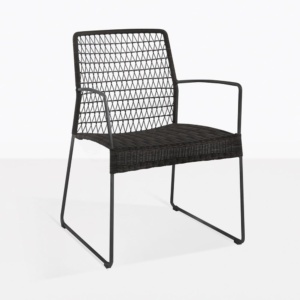 A Sunbrella® seat cushion is included for extra comfort.